Melissa is a food consultant, Holistic Health Practitioner and certified in Culinary Arts. She considers herself to be a Food Facilitator. For most of her life she was unwell, and could not eat many foods. Her healing process has lead her to want to share what she has learned, so others may benefit and be well. Consciousness, mindfulness and education in buying and consuming foods are extremely important to her. She can eat anything she wants at this point, and she chooses foods that make her body feel the most optimum, and that come from companies that are conscious about their ingredients. Melissa believes that when we feed the physical hunger of our stomachs and bodies, we can then address what is truly hungering; our Souls. Melissa has an intuitive way to facilitate meaningful breakthroughs with her clients. She is open, available and very easy to be vulnerable with. Her work is profound. She uses many different tools, including her education and wisdom from all aspects of her life to facilitate the process. Her own spiritual practice has been a big part of her growth and awareness. This process is more than just food! 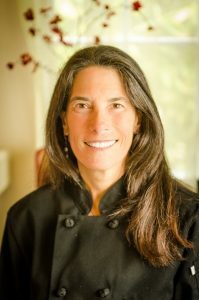 When Melissa is not in the kitchen creating her own recipes and changing any others she can get her hands on, she is at any one of the beautiful and plentiful Farmer’s Markets, smelling the produce and connecting with farmers and people. Contact Melissa today for your initial consultation in the privacy of your own home.